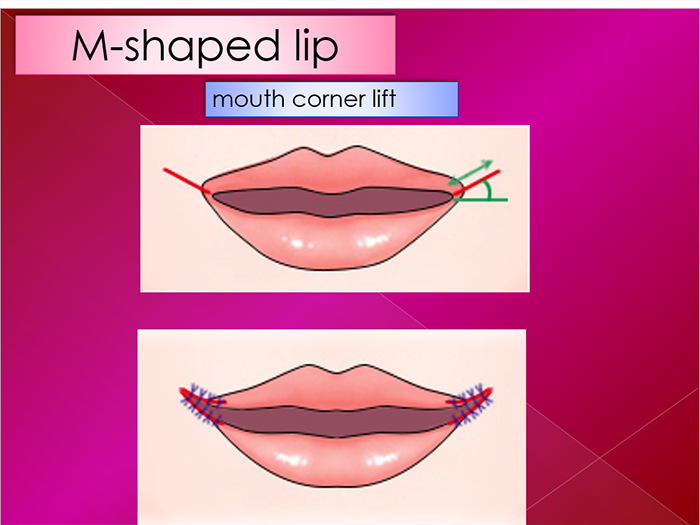 There are requests to make a definition to the lip in shape. 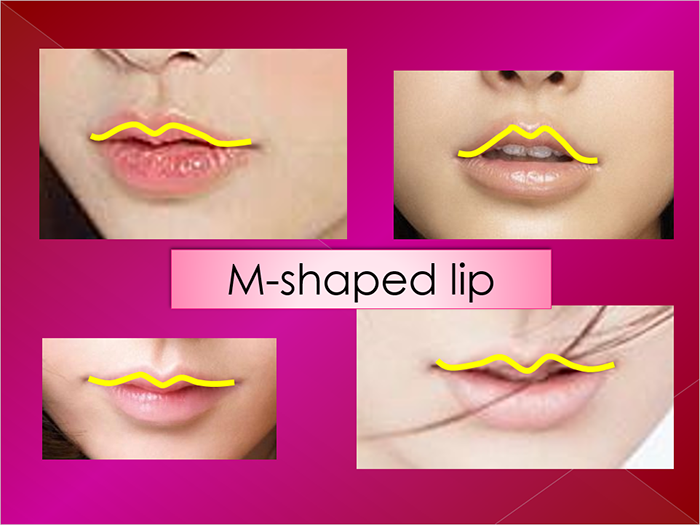 The most common request is M-shape for the upper lip and heart-shape for the lower lip. 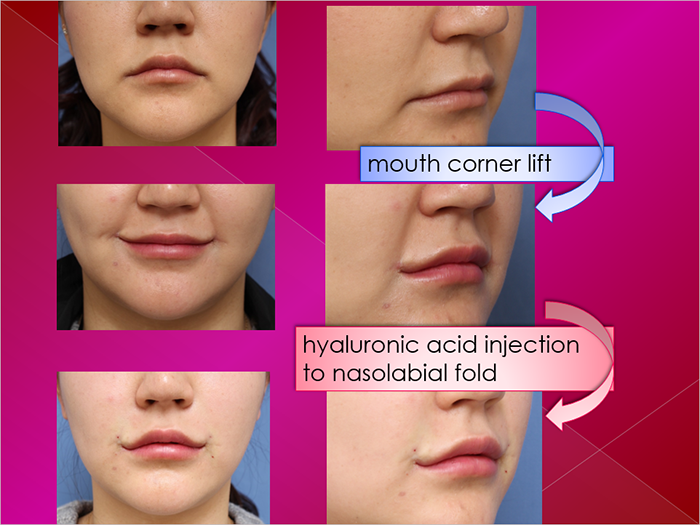 Our standard approach is the use of hyaluronic acid. 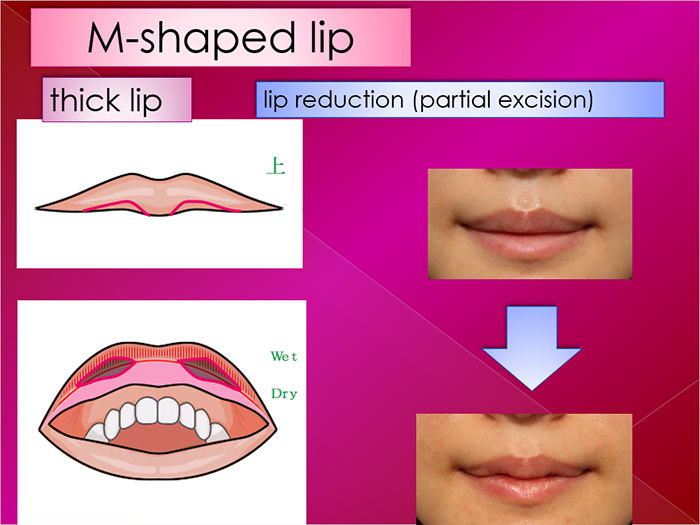 We inject the material to three points (central and lateral 1/3) for the upper lip and two points (paramedian) for the lower lip. 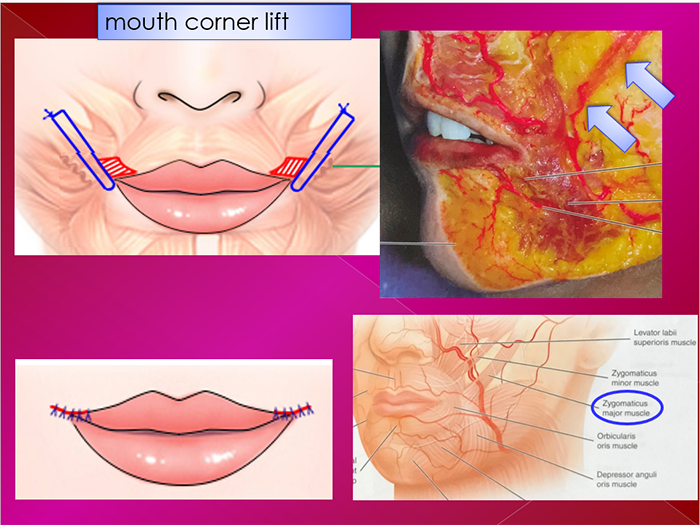 This simple procedure works well in many cases. 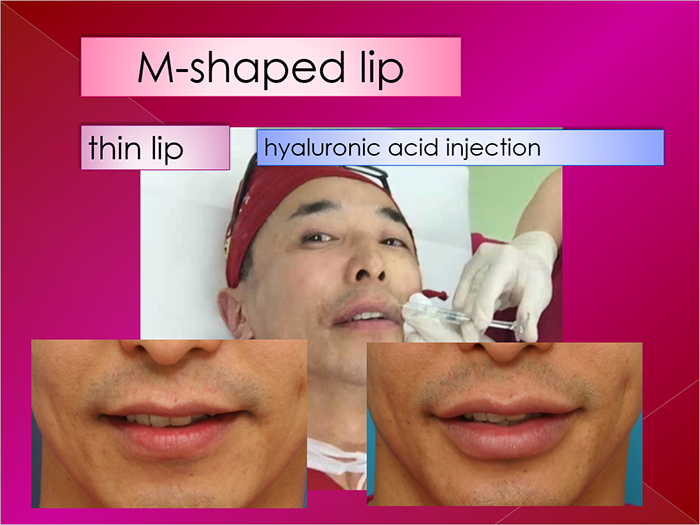 However, some cases did not get satisfactory results from the injection alone or others asked for a permanent result. 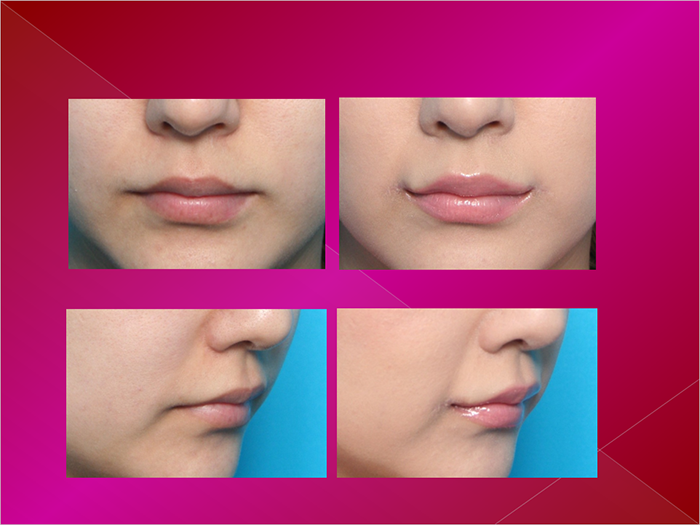 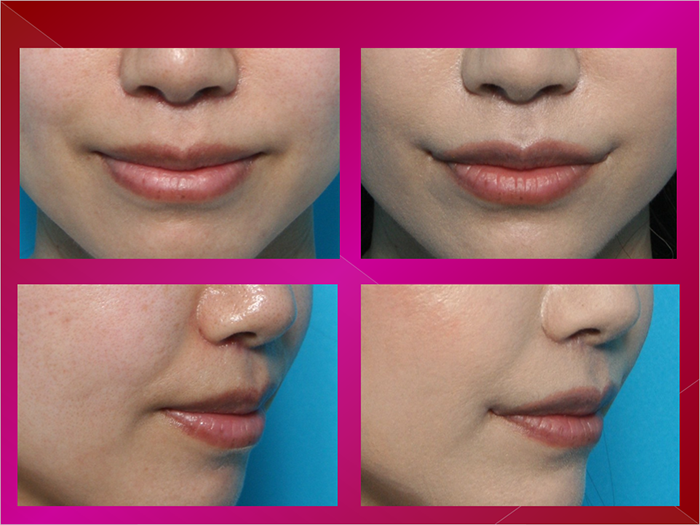 For those cases, we have performed adjunctive procedure such as partial lip reduction or mouth corner lift. 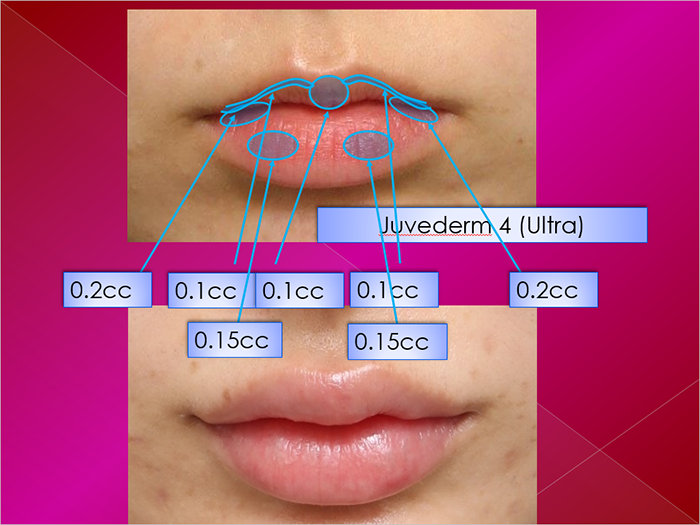 This paper demonstrates the surgical techniques and clinical results.